Pulse or Blend ingredients until combined. 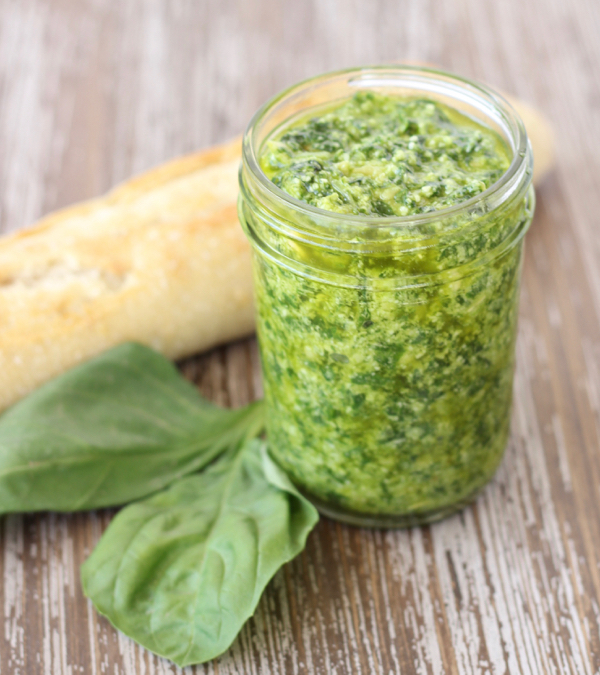 Slowly pour in Olive Oil while running food processor or blender on a low speed. Optional: Add in a pinch of pepper or salt to taste. Transfer to a mason jar, store in the refrigerator, and pull it out with your dinner tonight! Serve over Pasta, with Bread, or cook up some Crockpot Creamy Pesto Chicken!